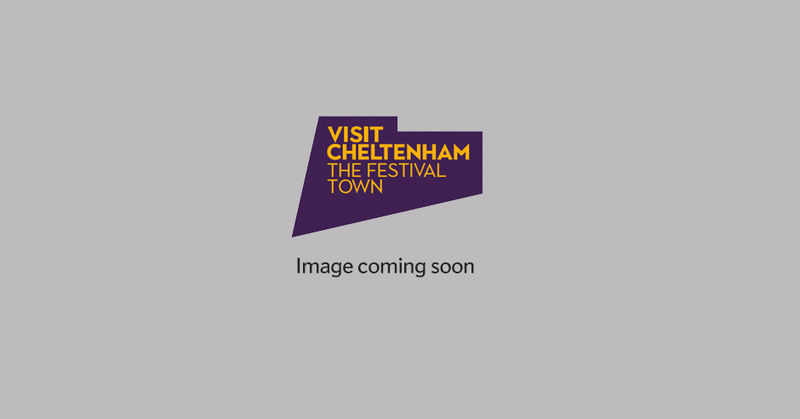 Welcome to Visit Cheltenham, the official tourism website for the cultural centre of The Cotswolds, described in the New York Times in January 2016 as a town enjoying a cultural renaissance with many "happening spots", and featured in the Independent in November as a "Design Destination" with stylish places to eat, drink and stay. Stroll along the leaf-lined promenade as autumn falls on Cheltenham and experience many of the architectural and heritage features that can still be seen today, or experience the more modern redevelopments which are seeing a new generation of visitors to Cheltenham. Renowned for its shopping, theatre and festivals, Cheltenham is a year-round destination, making any time of year an ideal time of year for a short break. With a continental feel, enjoy Cheltenham's cafe culture, wrap up and grab a bite to eat al fresco at some of the many high street and independent restaurants, cafes and bars across the town, or check in to one of the many fantastic hotels and cosy up in front of a roaring fire! The Brewery Quarter is a buzzing district where old meets new and is home to branded eateries, a multi-screen cinema, bowling alley and bars offering live gigs and entertainment throughout the week. If you enjoy a tipple, Cheltenham has everything to offer from Gin Tasting to Brewery Tours and Beery walking tours, as well as Foodie Tours. The Wilson, Cheltenham's Museum & Art Gallery is home to an internationally significant museum collection of exceptional quality and variety and fine art collections, and their temporary gallery spaces offer an exciting programme of changing exhibitions. The birthplace of Gustav Holst is open to the public as a Museum, one of England’s most respected composers, best known for his work The Planets. It is one of only two composer birthplace museums in the country. As the home of Festivals, Cheltenham is not only host to the annual Cheltenham Festival & Gold Cup, but also the Cheltenham Festival Series - Jazz, Music, Science and Literature - with dates already confirmed for this year. In addition, the many venues across the town, both large and small, offer an annual entertainment programme to suit every age and genre. As well as family theatre, lots of free events for kids take place throughout the year, whether it be part of one of the festivals or in one of the many parks and open spaces, from sport to arts and crafts. Cheltenham has many indoor attractions too, including Cineworld, Hollywood Bowl and Leisure at Cheltenham. Easily accessible from the M5, Cheltenham lies just over an hour away from Bristol and Birmingham and under two hours away from London. There are excellent transport links by rail and road to the town. Bordering The Cotswolds, Cheltenham offers an excellent base from which to explore the area too. Why not check out the TripAdvisor Top Ten Things to Do in Cheltenham or pop into our Tourist Information Centre, situated at The Wilson - Cheltenham's Museum and Art Gallery, for ideas and inspiration, or to book your accommodation using our free booking service? You can call us on 01242 237431 (option 2), where our friendly staff will find just the right accommodation for your stay.